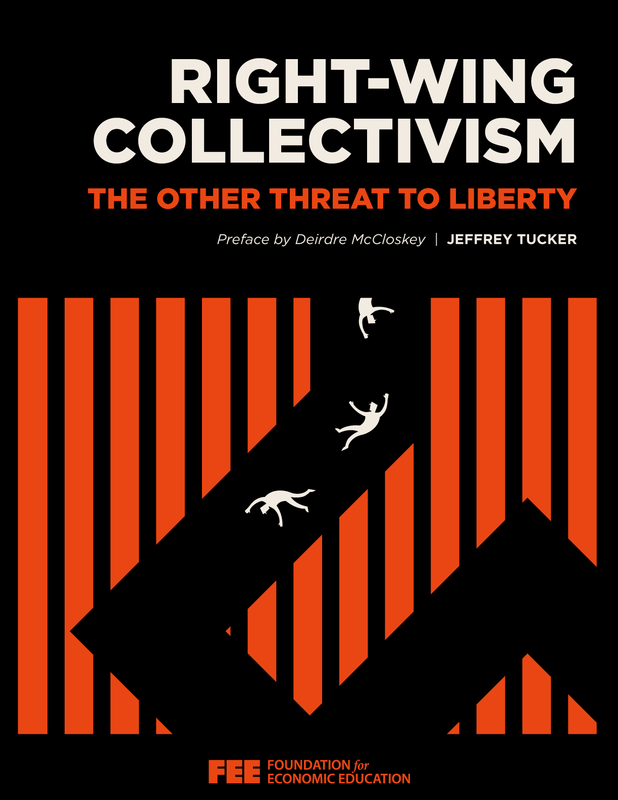 My new article collection–Right Wing Collectivism: The Other Threat to Liberty–is about the most unexpected ideological development of our time. It concerns the revival of a tradition of interwar collectivist thought that might at first seem like a hybrid but was distinctly mainstream between the two world wars. What is this thing we have encountered, this strange movement that is alive and growing in Europe and the United States? It is anti-communist but not for the usual reasons: it is thoroughly against freedom as understood in the liberal tradition. It opposes free trade, freedom of association, free migration, and capitalism understood as a laissez-faire free market. It rallies around nation and state as the organizing principles of the social order–and trends in the direction of favoring one-man rule–but positions itself as opposed to leftism traditionally understood. What is this thing we have encountered, this strange movement that is alive and growing in Europe and the United States? Most people of the current generation lack a sense of the historical sweep of the intellectual side of the right-wing collectivist position. We know about certain fascist leaders from the mid-20th century, but not the ideological orientation that led to them or the ideas they left on the table to be picked up generations later. It’s dropped from history. Meanwhile, the prospects for social democratic ideology are fading, and something else is coming to fill that vacuum. What is it? Where does it come from? Where is it leading? My book seeks to fill the knowledge gap, to explain what this movement is about and why anyone who genuinely loves and longs for liberty classically understood needs to develop a nose and instinct for spotting the opposite when it comes in an unfamiliar form. We need to learn to recognize the language, the thinkers, the themes, the goals of a political ethos that is properly identified as fascist. Why “right wing”? It’s a fair question, because the history of right and left is enormously complicated and the definitions are always changing. If by left, you mean anything trending toward despotism, and, if by right, you mean anything trending toward freedom, my use of the term “right wing” here will make no sense to you. But that leaves us with a problem. It doesn’t make much sense to describe both Karl Marx and Carl Schmitt as “left wing” when Schmitt’s entire ideological apparatus was constructed in overt opposition to Marx. And it doesn’t account for why some of the most successful tyrannies of the 20th century rose in opposition to communism and turned out to be just as dangerous as the thing they opposed. I will argue for the designation of “right wing” on grounds that these movement appropriate certain rightist themes for despotic ends. They speak about family, faith, nation, and even property but not in the interest of bourgeois freedom but rather as political rhetoric designed to rally a specific middle-class demographic to their side. They can rail against the leftist takeover of media and academy with the best of them, but their interest is not in allowing maximum personal and economic liberty but rather constraining both in the service of nation, state, blood, soil, throne, and altar. Most often these people are granted motive force by the perception that leftism is on the rise and needs to be combated; indeed, that is the origin of the fascist movements of the last 100 years. But what they want instead is something other than freedom; it is a new form of comprehensive social and economic control. This is true of most forms of fascism: it goes after hard targets, through a variety of means from migration controls to eugenics to birth planning and procreation control. Anarchy in the production of people is not tolerated. In a strange way, this makes sense. If you seek to control the social order, really control it, you have to start with controlling population demographics. We are living in hard times for liberal philosophy. Our generation has little real-world experience to deal with reactionary movements and their effects. But we ignore such movements at our peril. I show is that such rightist thought has deep roots tracing to the early 19th century, when the followers of Hegel split into right and left branches, depending on whether one believed that the Prussian state and church did or did not provide the end point of cultural evolution. The rightists went one way and the left went another. They both pushed a revolt against the liberal upheaval that fundamentally changed the social and demographic structure of Western society. Right and left, in many different national experiences, proposed different ways to deal with what they regarded as a disaster in the making. To put it another way, these are the people who wanted to dig up the body of Adam Smith and hang him in effigy. What I’m calling right-wing collectivism really does represent a semi-coherent tradition of thought: the language, themes, resentments, answers, and visions are consistent for some two hundred years, intensifying by the decade. I trace this tradition in the course of this book. “Left” and “right” are each descriptive of authoritarian positions. Liberty has no horizontal relationship to authoritarianism. Libertarianism’s relationship to authoritarianism is vertical; it is up from the muck of men enslaving man…. What, actually, is the difference between communism and fascism? Both are forms of statism, authoritarianism. The only difference between Stalin’s communism and Mussolini’s fascism is an insignificant detail in organizational structure. But one is “left” and the other is “right”! Where does this leave the libertarian in a world of Moscow word-making? The libertarian is, in reality, the opposite of the communist. Yet, if the libertarian employs the terms “left” and “right,” he is falling into the semantic trap of being a “rightist” (fascist) by virtue of not being a “leftist” (communist). This is a semantic graveyard for libertarians, a word device that excludes their existence. While those with Moscow relations will continue this theme, there is every reason why libertarians should avoid it. What Read most likely could not have imagined is that this terminology would survive the Cold War and come roaring back in the 21st century. What’s more, he would be shocked to see so many libertarians of our time thoroughly confused about where we fit within the left/right structure. The answer is that we do not. But to see that requires that we know more. Most importantly, true lovers of human ennoblement through freedom need a great consciousness of who we are, what we’ve achieved in the past, and what it is going to take to make a rational and persuasive case against both left and right. We are living in hard times for liberal philosophy. We can overcome them only through greater understanding of our past struggles and future challenges. In this interview, I cover more of these topics. 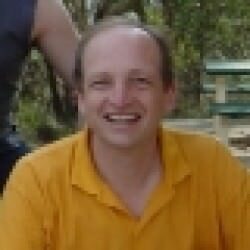 In 1970s Australia, libertarians would describe themselves as “up-wing” to make it clear that they were neither left-wing nor right-wing. Unfortunately, the term never gained broader acceptance.